Sleep Apnoea occurs when the muscles around the airway relax and collapse which can block airflow into the lungs. If the collapse is severe enough it causes an Apnoea (absence of breath). This constriction can cut off oxygen supply to the brain and body. The continuous cycle of disruptions persists until the brain partially awakens the person. Snoring occurs when the jaw opens and the tongue relaxes and falls into the back of the throat causing the airway to narrow. This constriction forces air through the smaller opening which creates sound vibrations in the throat, commonly known as ‘snoring’. In some cases snoring is a risk factor which can be associated with obstructive sleep Apnoea. 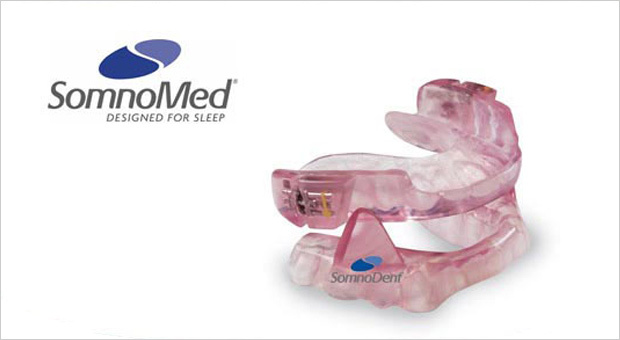 Sleep Bruxism is a common sleep related motor movement disorder. Commonly as teeth grinding. After complete assessment of your Sleep Apnoea severity level, treatment options are available for all patients. Your G.P and Dental Clinician may recommend an oral appliance. Oral appliances usually consist of a custom made ‘mouth guard’ which is fitted to both upper and lower teeth and then joined together to allow the lower jaw to sit in front of the top teeth. This creates an open airway which helps to reduce with the number or severity of Apnoeic events throughout the night. Our clinic offers SomnoDent appliances. Please contact us, if you’re interested in finding out more about Sleep Apnoea, Sleep Bruxism or Snoring.